Watch as Ghostbuster Venkman uses his witty remarks to take on the Terror Dogs. 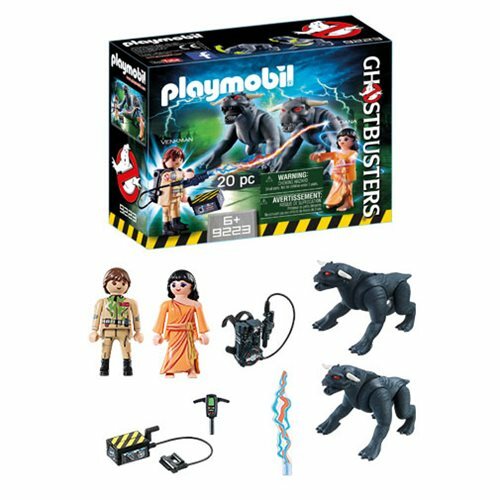 These ghoulish creatures have escaped from another world, forcing Venkman to use his super pack to defeat the glaring red-eyed beasts and release Dana Barrett. This Ghostbusters Venkman with Terror Dogs Playset also includes detachable proton pack and proton laser, ghost trap, and a PKE meter for measuring psychokinetic energy. Ages 6 and up.